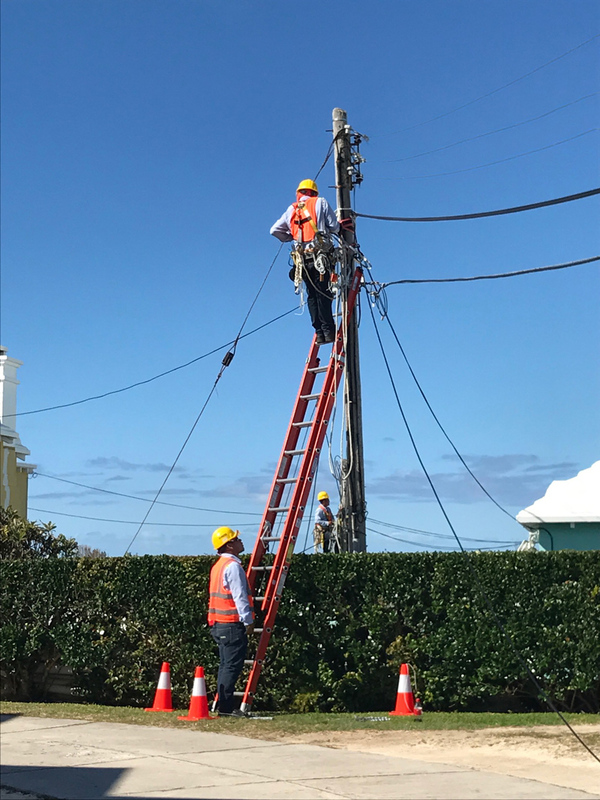 As part of its ongoing $60 million investment in Bermuda’s telecommunications infrastructure, Digicel today provided a progress update on two of its major infrastructure and technology projects. “In recent weeks, Digicel has been upgrading its network in order to provide superfast island-wide LTE data. 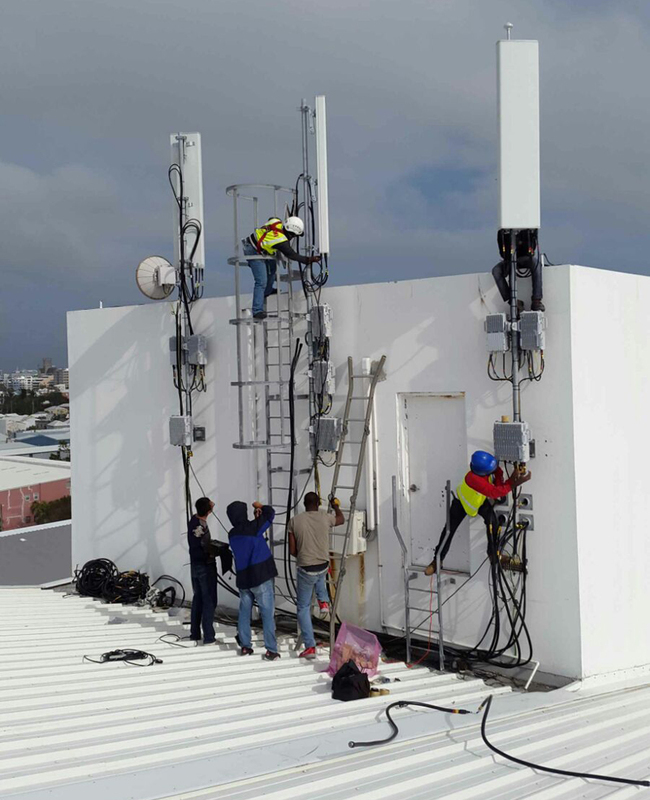 Works are on schedule and, with 90% of the island complete, by the end of the month, Digicel customers with compatible SIMs, devices and plans, will automatically be transferred to the new LTE network with speeds up to ten times faster than the current service,” the company said. The company added, “Digicel has simultaneously been constructing Bermuda’s first and only full Fibre to the Home [FTTH] and Fibre to the Business [FTTB] network. The installation of this fibre network is also on schedule and is due to completed by the end of the year. Logic talk to me what you’re plan to upgrade? Sadly I don’t expect much from Digicel and doubt these upgrades will make much of a difference to their poor service! please explain to me why Digicel couldn’t utilize Bermudian or have them trained for this work? This isn’t something you take a week-long course to learn; the temporary workers are experienced professionals with specialised skill sets in a narrow field of work. Asked the workers personally and their word were, “we’ve just been brought here to lay cable.” Asked them if there was any network or other sort of complicated tasks that they had to do and the reply was, “No, just lay cable, that’s what we are here for.! ABM, There those guys you see in the streets are just here to lay cable correct, but the guy who are in the bottom picture are the guys you probably do not see. That crew is for the mobile side, which as Micro said are specialized in the Lte mobile. So what is ONE doing? I thought they were in progress with their own fibre network as well. I don’t expect digicell to mention their competitors in a press release but saying they are the only ones providing a service isn’t entirely true…unless ONE has some type of hybrid network using the existing copper coax to homes, so they aren’t fully FTTH. I just hope the service we end up with finally reflects how much we pay for it! How about you work on calculating my data right before you try to patch up your pathetic service because competition has raised it’s head. So so sick of Digicel. why are you still with them??? Wonder if they got paid? Well, I get service inside my house now so that’s a small plus. It’s very spotty tho, if I move an inch or two left or right, the signal is lost completely. Key phrase “after years of lobbying the Regulatory Authority” the biggest stumbling block as the Regulators have stifled competition by forcing everyone into lockstep…the biggest way forward is free unfettered competition..